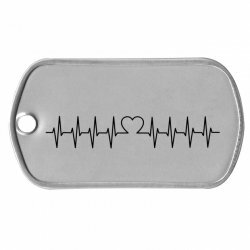 Stainless Steel Matte Finish with Laser Engraved EKG heartbeat with embedded heart. Perfect for sweethearts. Cannot edit lines 3 & 4. 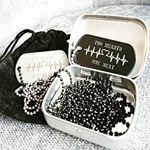 Two hearts beating as one. See an example of a fully customized Heartbeat Dog Tag as a boyfriend tag, as a girlfriend tag.